Status: offline A few random things that i would like to see added due to the recent tensions in Kashmir. Pakistan operates 90 Mirage 5DPA2 conversion trainers which in a conflict would almost certainly be pressed into service however the database has no two-seater Mirage 5s for any nation Specs would be close to identical to the single seat versions. This is a low priority since i can just use the single seat aircraft but i think it would be a nice thing to add with minimal effort. 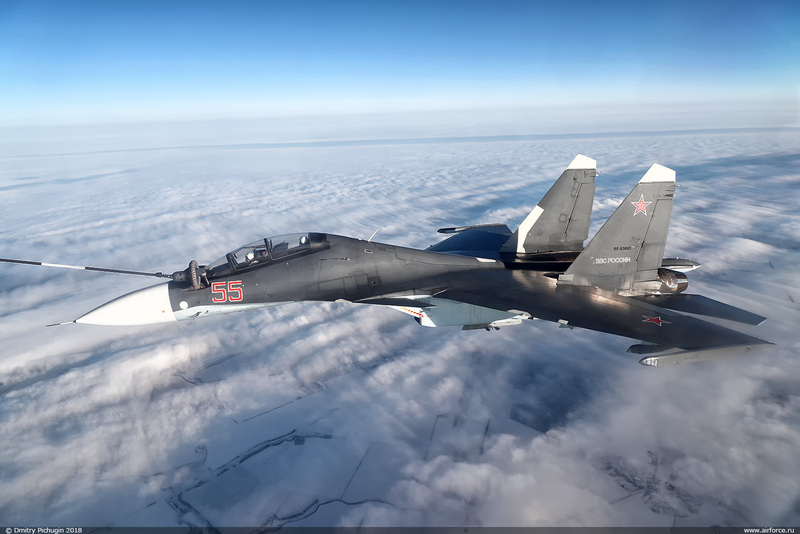 Status: offline Please modify the flight pattern of the ASM KH-31A. 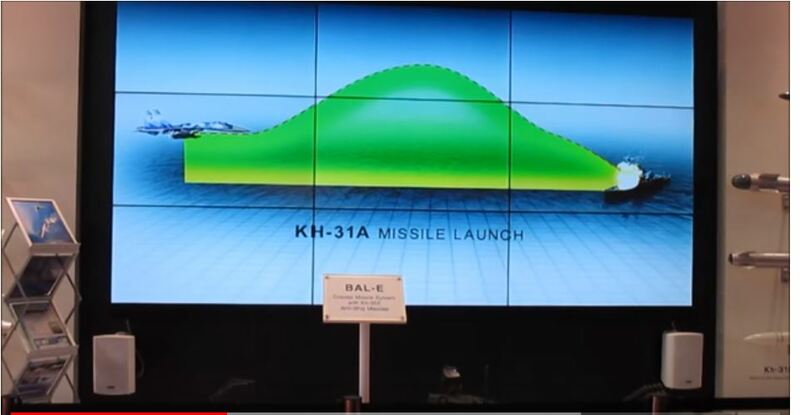 Currently this missile presents a sea skimming attack pattern and that is a feature that only the KH-31AD has. The attack pattern of the KH-31A is similar to that of the KH-31P. Please could you add the Spear 3 missile? It's an awesome little British missile, just now being integrated into Typhoon and in the near future, the F-35. It is like a cross between the Israeli Delilah missile and the SDB-II, a multi-mode seeker air-to-surface missile powered by a turbojet. It has a millimeter wave radar seeker, a semi-active laser seeker and inertial/GPS, along with a two-way datalink. It will be very effective against SAM sites, moving vehicles, armoured vehicles etc, but can also attack ships and its semi-active laser mode can allow forces on the ground to lase targets to provide CAS support too! Unfortunately I'm not allowed to post links as my post count isn't high enough yet, but the Wikipedia page for Spear 3, along with a Spear 3 page on ThinkDefence, a Spear 3 article by Jane's called 'Aimpoint Selection' and a Spear 3 page on MissileThreat, provide all of the relevant stats for this weapon. The seeker is the same one as on the Brimstone 2, just with a inertial/GPS and a two-way datalink added. It would be really awesome to see this weapon in CMANO so I can create new scenarios involving the F-35 launched from the Queen Elizabeth carrier, for which the Spear 3 will truly be the tip of their spear. Imagine a 'four-ship' wolfpack of British F-35s, two of which carry 2 x Meteor, 8 x Spear 3, and two of which carry 4 x Meteor. With that MADL datalink of theirs, they could cause absolute chaos in an IADS. Status: offline Please remove code 1001 Illuminate at Launch for missiles AA-7 Apex A(#790), C(#152), E(#2064) and add code 2012 Lock-On After Launch (LOAL). Homing device for C was developed in second half of 70-s. Should generation be changed? And probably probability of kill for E should be higher, about 80%. As result of improving of sensor capabilities, better jamming resistant, higher allowable acceleration of target. Probability of kill for B should be higher, about 70%. According launches statistics it can be 70-75%. Sources: R.Angelsky "Domestic air-to-air missiles", Aviation and cosmonautics, #9 2002. Status: offline Please adjust the range of the 9S32M / 9S32ME radar of the Antey 2500 / S-300V4 S-300VM system. 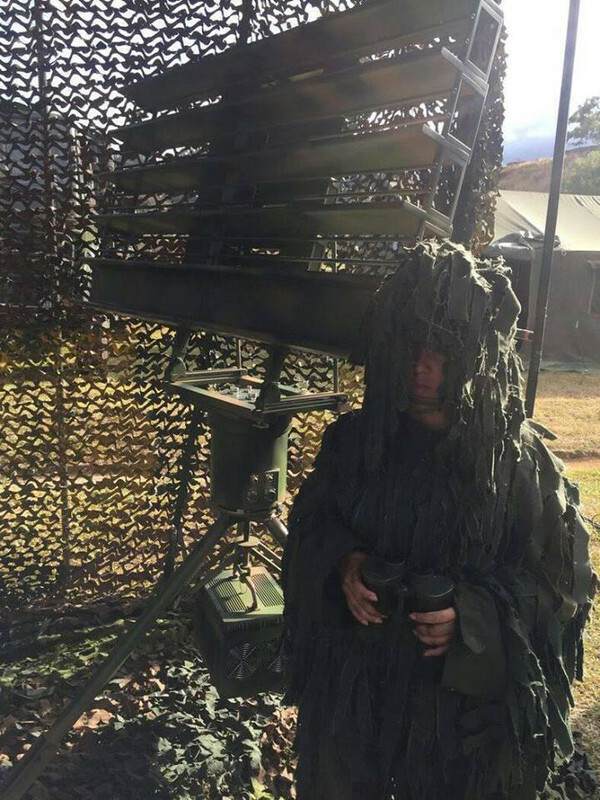 As published by the manufacturer, the 9S32M radar has an instrument range of 400 km / 215 MN, which allows it to illuminate targets at the maximum range of the 9M82M / 9M82ME missiles. Therefore the S-300V4 system will be able to use the 9M83M small missile, the large 9M82MD and intermediate 9M82M missile with the range of up to 200 km. According to him, the 9M82MD missile is designed to intercept aerodynamic targets within the range of 400 km, as well as the main types of ballistic targets, including the warheads of medium-range ballistic missiles flying at a speed of up to 4,500 meters per second . 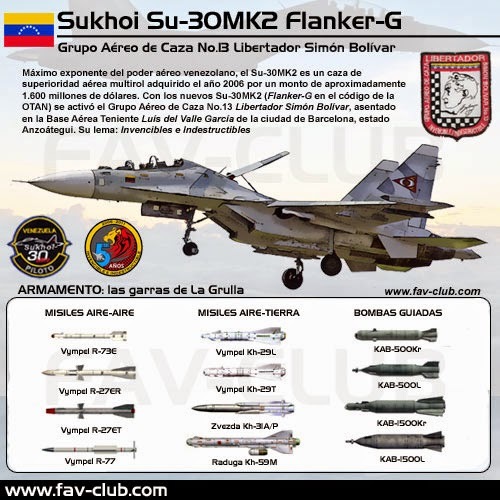 As I can see - all non-Russian versions of Su-30 have one-pilot crew. But should be two pilots. Status: offline Every missile in AA-12 Adder family contains active radar seeker with max range in 5 nm. Status: offline Modification for the database of Venezuela. 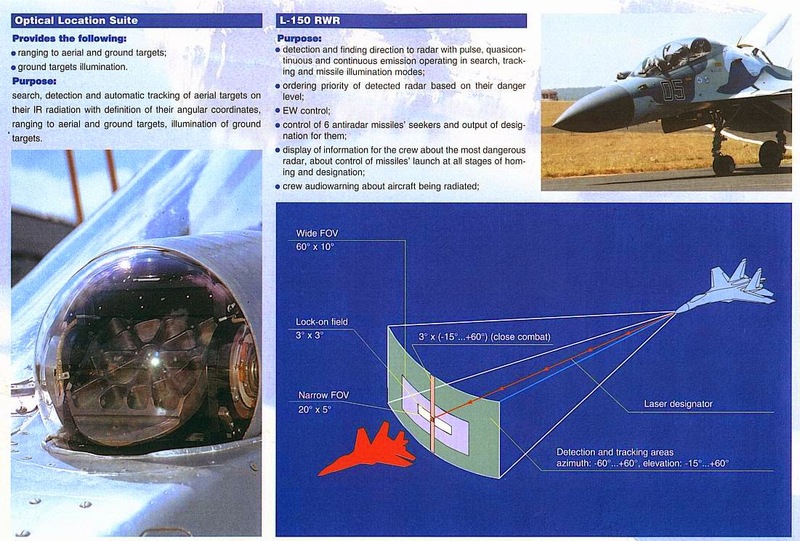 -Designator laser mounted in the IRST-OEPS 30Mk, for the guide of air-ground precision weapons. -Add LGB KAB-500L / KAB-1500L. -Replace the DECM L-203 with the KNIRTI SPS-171 / L005S Sorbtsiya-S. Modify entry # 2801T-61 Capana. Go Jun Bong Class LST. Navy of South Korea. 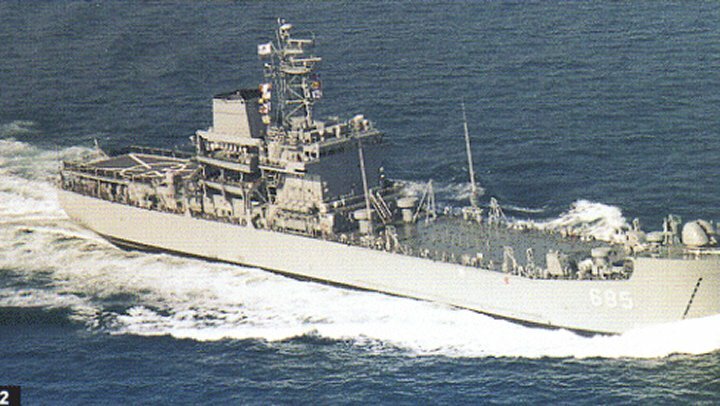 Capana Class LST. Navy of Venezuela. Status: offline Is it possible to bring these into the fold? The specifics for the Mexican Quetzalcoatl-class with the Netzhaulcóyotl as a model. 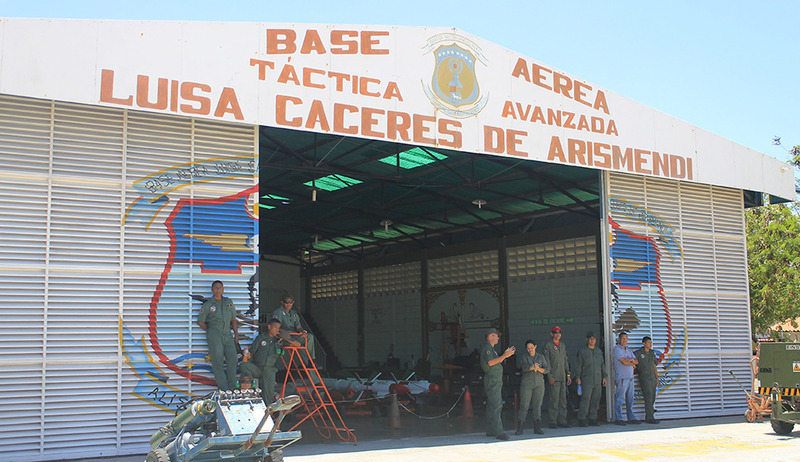 The Bronstein Frigates became the Hermenegildo Galeana and Nicolás Bravo. And the Fletcher-class ships that would be transferred to the Mexican Navy as the Cuauhtémoc and the Cuitláhuac. Status: offline Around a year or two ago I made suggestions for updated AESA radar range figures (for the F-22, F-35, F/A-18E/F, etc) and they were implemented; I've had a request on behalf of a CMANO user to look into the APG-83 SABR (installed in new F-16s and being retrofitted to USMC F/A-18Cs) and also the new SABR-GS, which is the B-1B's new AESA. 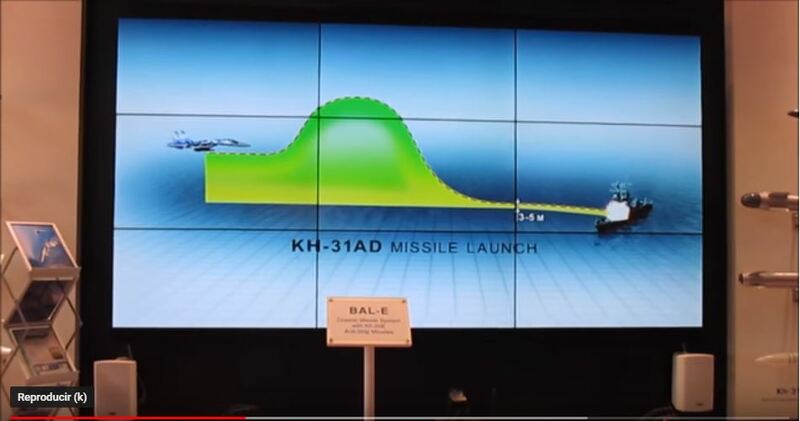 According to http://www.radartutorial.eu/19.kartei/08.airborne/karte020.en.html the APG-80 (an alternative to the SABR that is also designed to fit the F-16's nosecone) has approximately 1000 T/R modules. This is obviously a rounded number, but ~1000 is what RUMINT seems to be suggesting for F-16 AESAs (both the APG-80 and APG-83), and it would put it roughly on par with the Rafale's RBE-2 AA AESA for T/R module count. The APG-83 is based on the APG-81's T/R module design, and so it wouldn't be unreasonable to assume it'd have similar performance per T/R module. Using the radar range equation and figures previously submitted on this forum for the APG-81, this would yield a max range of around 150nmi for a 1m^2 target. The radartutorial.eu link above gives a range of 110km for a 1m^2 target, but that is technically for a different radar, and I would expect that to be a figure for (eg) a 90% detection probability versus outright maximum detection range (50% probability, longer dwell times, etc). To further support my claims, here is an image from an Aviation Week article: https://aviationweek.com/site-files/aviationweek.com/files/uploads/2017/10/30/DF-F16VIPER_Factbox2.jpg that cites the APG-83 having a high resolution Synthetic Aperture Radar mapping capability out to 160nmi. I'll leave it to the devs, but I'd suggest giving the APG-83 a max range of around 150-160nmi. Then for the B-1B's SABR-GS, this link: https://www.militaryaerospace.com/articles/2015/05/1-bomber-radar.html states that the SABR-GS has an array 3x the size (presumably in area / T/R module count) of the APG-83 SABR. Again using the radar equation and the APG-81 as a starting point, a 3000 T/R module SABR would yield a max range of around 270nmi for a 1m^2 RCS target (and I expect it's SAR mapping range would be somewhere in that ballpark). I haven't found any article or document that explicitly states that the SABR-GS would be capable of providing air-to-air detection (and it is a "Global Strike" variant, and testing air-to-air modes would cost time / money), but at the same time it's a variant of the SABR (a scalable AESA system), which absolutely has air-to-air modes on the F-16 and F/A-18C (not to mention the APG-83 still provides very capable SAR mapping, etc on those jets), and having A2A modes would improve the survivability of the B-1B. I'll leave the decision to keep or remove A2A capability with you guys, though I will say that it'd certainly be more fun to leave it in. 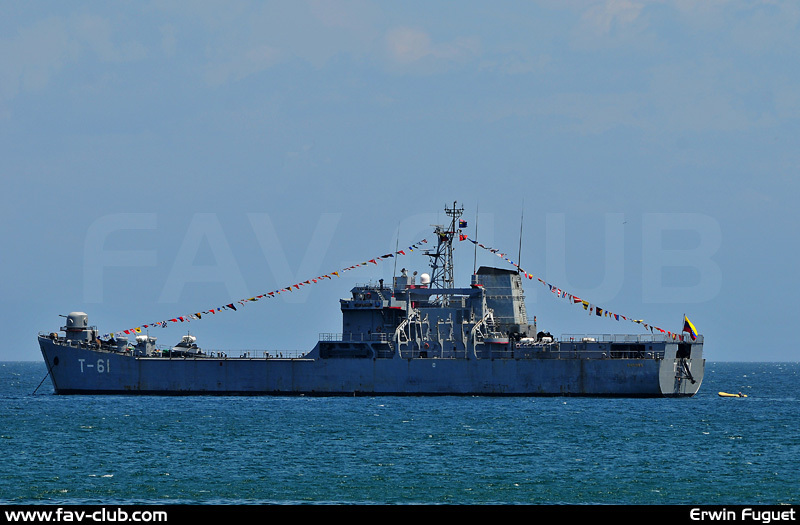 Status: offline Can we get the Mexican Reformador Class? Its a Sigma variant with a slightly longer hull than the Indonesian 10514 type. It is reported as having an improved power-plant and extended range although its speed is still listed at 28 knots. Armament consists of a single RAM launcher on the aft deck, a 57mm Bofors gun forward, two quad harpoon launchers amidships, two Mk32 triple torpedo tubes on the flanks and an 8 cell mk56 VLS launcher firing ESSM. There are no other weapons listed but the sale form approved by Congress includes a large number of 25mm bushmaster rounds so it is likely that the final design will also include 2 remote Bushmasters. Sensor systems are identical to the baseline Sigma 10514 with the exception of Indra being contracted to supply the ship with the RIGEL ECM/ESM system instead of the Scorpion system on the Indonesian ships. The first vessel was commissioned November 23, 2018. Do you have any chance to check the south korean navy's "Incheon-class frigate" weapon loadout. I think they made some changes and added land attack missiles to this class. According to DB3000 "batch 1" frigates has got 4 x 2 SSM-700K Haeseong anti-ship missiles. But when you check the links below they have changed the loadout to 4 x 2 SSM-700K Haeseong anti-ship missiles + 4 x 2 Haeseong Tactical Land Attack Missiles. Status: offline Errata: All LJDAM variants but the earliest one (Mk.82 USAF 2008) are lacking their Laser Spot Trackers while still retaining Anti-Surface Capability. Look like Iranese just commission Fateh submarine (#450) this year (2019). Please adjust date when can. So add loadout #3713 MH-60S. Cobra's and Venoms have already thanks. AV-8B have in db so good. Status: offline Could we get SM-6 Block IB in the database? It's a planned upgrade of SM-6 that uses the 21" motor of SM-3 Block IIA for extended range. This weapon could be extremely important for near future scenarios as it would radically changes the US Navy's defensive and offensive (the Navy classifies it as a "long range hypersonic strike" weapon) capabilities. Status: offline Where did you hear that? The AN/SPY-6 is not an OTH radar so there is no way it could see that far. If it's power levels are twice what is believed it may be able to push 600km for high flying jumbo jets but even ground based radars which have much lower power limitations can't reach 1000km without being surface wave. Status: offline Its in the post right above mines source. Status: offline Just working up a Scenario involving the Taruntal V class boats of Vietnam. I noticed that they have only 10 or so tons of fuel vs the earlier boats having 50 tons of fuel. They should have a range of 1700 nm. Good catch there (the quote is in the first paragraph of page 11 for anyone looking for it). There is simply no way that SPY-4, AMDR, and EASR all have the same range. EASR should have the roughly the same range as SPY-1. Raytheon describes it as "comparable in sensitivity to the current radar on today's destroyers." AMDR should have its range increased to at least 350nm if not the 500nm of the quote FTBSS found. Raytheon's description says it "can see a target half the size at twice the distance of radars on today's navy destroyers." SPY-4 should probably have less range than AMDR, since it is a slightly smaller array that uses older technology. SPY-3 having the same range as SPY-1 and EASR is believable, given it is between them in both size and technology. 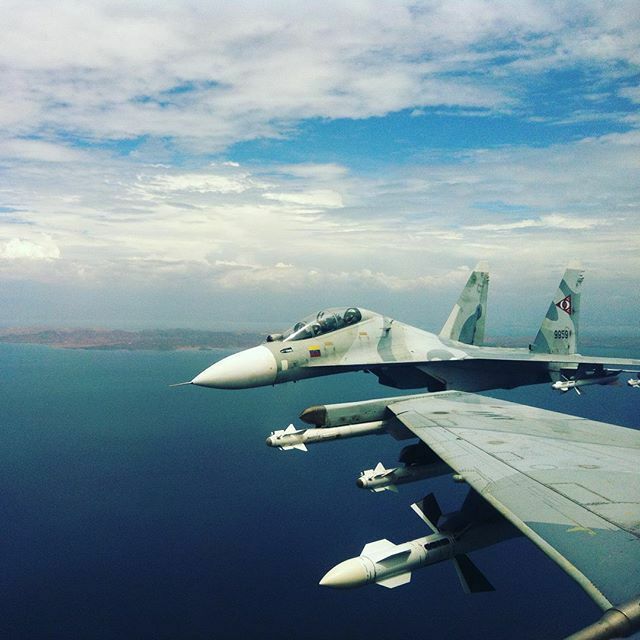 AMDR and EASR also should be renamed in the CMANO database. 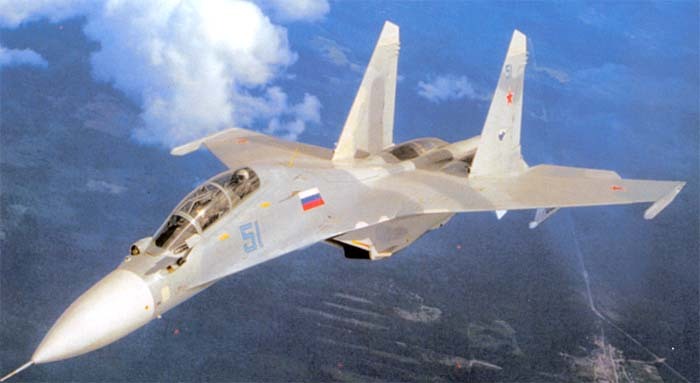 They are currently listed as "AN/SPY-6 AMDR" and "AN/SPY-X EASR." They should be named "AN/SPY-6(V)1" and "AN/SPY-6(V)3" respectively (AN/SPY-6(V)2 is the rotating single-face EASR for the amphibious ships). There is also a plan for backfitting a 12' diameter SPY-6 variant to the Flight IIA destroyers that could be interesting to add to the database. Status: offline SPY-1 range 175 nm was a typo dragged for years from the Harpoon DB affecting in cascade a lot of other naval radar range values, the pretended real value was range 275 nm. Range for SPY-1/A/B/B(V)/D should be the same, range of SPY-1D(V) should be increased about 10%-15%. 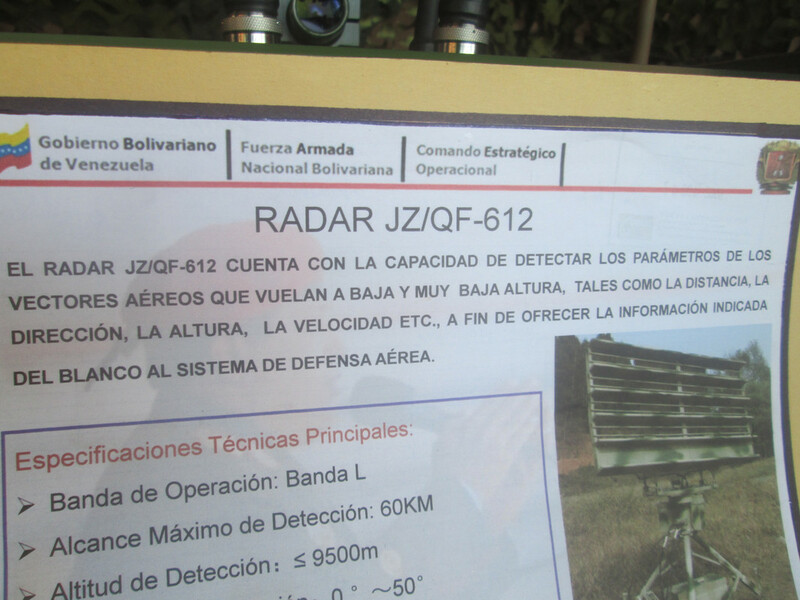 SPY-3 radar range should be substantially shorter, 175 nm can be a good value. Status: offline Now AAM-4B(DBID1199) got CEC-capability but only F-15J (2017) has that transmitter for CEC. So right now The CEC-capability is kind of useless for a lot of scenarios. Please give CEC-Capable AAM-4 command datalink for aircraft listed below. And for the bump, extend the range of ASM-1C. I really need it, and affect a lot of scenario. Thanks guys, as always I really appreciate the effort! Status: offline Please add Ukrainian Bayraktar TB2. Look like vanilla Turkish version so copies #4736. Duplicate entry or data entry issue for 2012 Israeli Black 30 and 40 Barak's. If you look in DB list they appear twice. Look same. Perhaps upgrade but not finish? No big one. Thanks for updates! Status: offline First of all thank you for adding the F-15X but i noticed a small issue. The current entry is using the AN/APG-63(V)3 however the actual plane is going to be using the AN/APG-82(V)1 just like the latest Strike Eagle versions. 1: Raytheon never produced enough AN/APG-63(V)3 for the existing F-15C fleet and until the F-15X is in service the Air force is not going to start retiring the old air frames and tanking their radars so there simply are not enough around for a new plane when the production line is already closed. 2: The AN/APG-82(V)1 is a newer and superior radar that is in active production for newer F-15E variants being sold to other countries so it is avaliable and already largely integrated into the platform as well as being all around better. Status: offline I just noticed that medium UAV's are way too stealthy. For example, the radar signature of the RQ-1 is -19.1 / -29.1 dBsm, which is virtually identical to that of the F-35 (-19.2 / -29.2 dBsm). The larger MQ-9 is -15.9 / -25.9 dBsm, which is still better than the F-117 (-15.1 / -25.1 dBsm). These figures should probably be closer to those of the similarly-sized Tucano (2.9 / 2.9 dBsm) or Super Tucano (3.6 / 3.6 dBsm). Even the much smaller Cessna 152 has a signature of 0.9 / 0.9 dBsm.